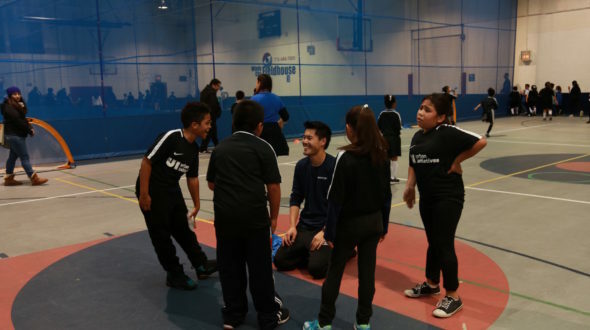 As the first snow of the year descended upon Chicago, Urban Initiatives students from Barry, Jenner, Lloyd, and McNair and volunteers from Accenture were undeterred as they traveled to Windy City Fieldhouse for a much-anticipated Game Day. Barry was the first school to arrive, and their team warmed up by scrimmaging with each other until the squads from other schools arrived. The weather meant that most buses were delayed, but spirits were still high as our participants donned their jerseys. 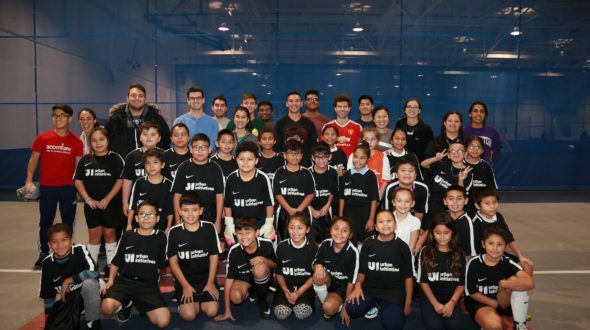 Then the students–from different neighborhoods across the city–came together to play soccer with one another, with some of their parents cheering from the sidelines. The volunteers gave players high-fives, helped to ref games, and, in some cases, even jumped right in and played. Team Captains from all four schools played soccer on their own field, with some volunteers fully integrated into the game. 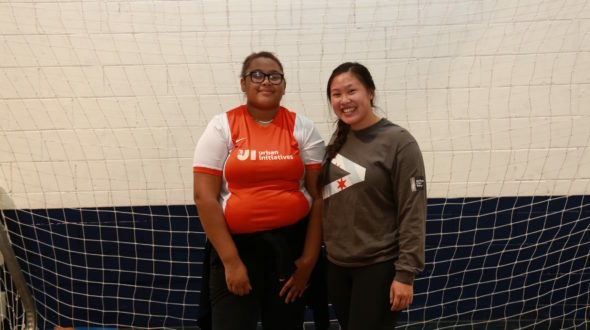 “The Accenture volunteers felt they were able to connect with the students in an impactful way through both playing and coaching soccer during Game Day,” said Rachel Flanagan, an Accenture volunteer and member of the UI Associate Board. 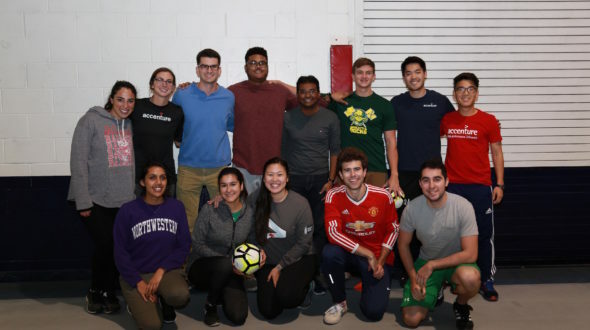 Thank you to all of the volunteers from Accenture who took time out of their week to participate in an afternoon of soccer, fun, and friendship with our students!